Something pretty awesome is going on in baseball right now. Even if you’re like me and don’t follow sports whatsoever, you can’t help but get excited for the Cubs and Indians who haven’t won the World Series since 1908 and 1948, respectively. In honor of this historic occasion, here are ten inspirational job search quotes from sources you may not expect: baseball greats! 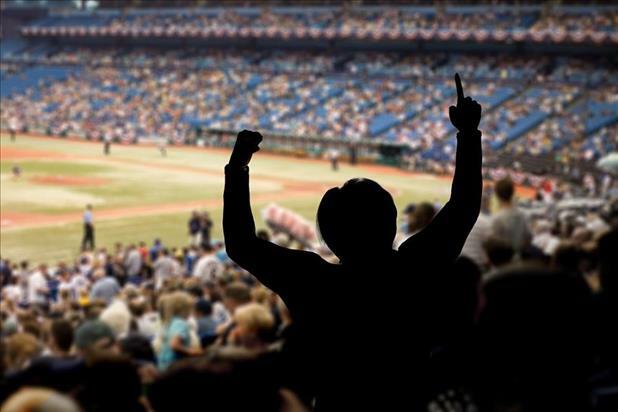 Whether you’re a Cubs or Indians fan (or neither), these words will give you a fresh perspective and the renewed energy you need to tackle your job search challenges and win the championship title – your dream job. An important part of any job search is celebrating wins – small and large. If you don’t have a plan, however, how will you know what to celebrate? Figure out what your ultimate goal is and chart your path accordingly. You will have bad days in your job search – automatic rejection emails, interview questions out of left field (see what I did there? ), wardrobe malfunctions, and so on. Learn from mistakes, but don’t dwell on them or let them keep you from moving forward. Similar to the quote above, you can either learn from your setbacks or let them drag you down. Again, mistakes are chances to improve and grow. When you don’t get the job, think of it this way: you’re now available for other opportunities that will be a better fit. This is a nice reminder that even the best of the best are well aware of their weaknesses. You have talents that the greatest baseball players in the world don’t have. Find a job that utilizes your unique gifts and you’ll feel grateful, too. You won’t land every job you apply to, but you’ll certainly miss out on 100% of the jobs you don’t apply to. Take a day off from your job search here and there to rest and revitalize, but don’t lose your momentum. Sometimes it pays to shake things up and approach your objectives in a completely new way. If you’re not getting the results you want, doing the same thing over and over again won’t help. Try a new resume format, explore different job sources, and test out ways to follow up with hiring managers. Only applying to jobs you’re 100% qualified for will likely yield a high rate of interviews, but depending on your industry, location, and other factors, it could be extremely limiting. Throw your hat in the ring for jobs you’re interested in but might not be the perfect fit (just keep your expectations realistic). This quote really speaks for itself, but it’s worth reiterating that no matter who you are or what you do for a living, do it well. While Casey Kasem isn’t a baseball player, I chose his quote to end this list as inspiration to those who may be unsure of their career path or struggling in their current field. It’s so important to keep your mind open and have a learning mindset. There’s a job and an industry out there waiting for you to make your mark.